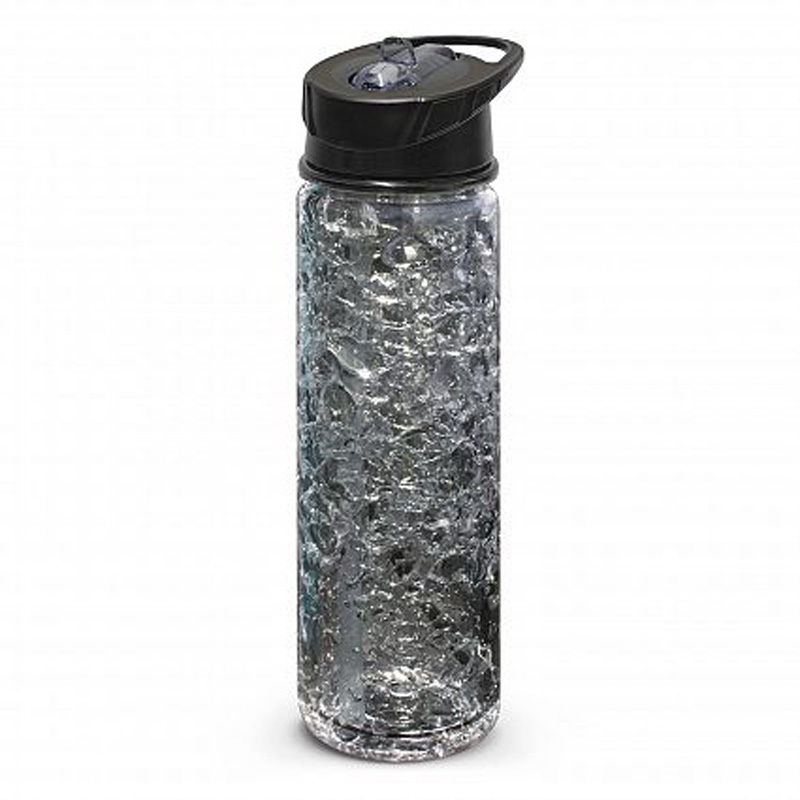 Ice Drink Bottle will keep drinks cool with its unique double wall construction which features an inert polymer gel between the walls. 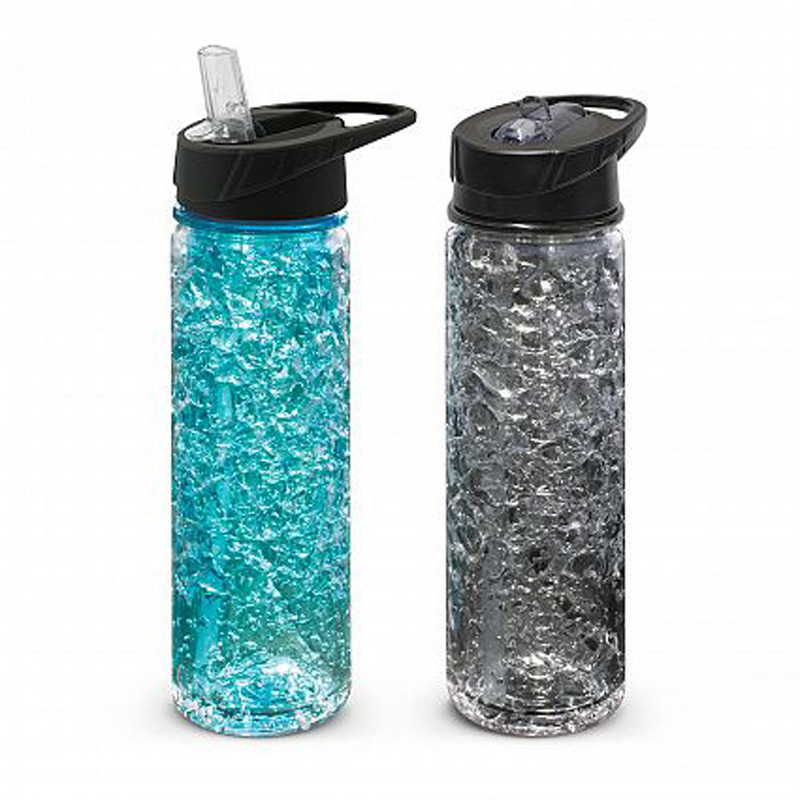 Before use simply put the bottle in a freezer to freeze the gel and fill the bottle with a pre-chilled beverage. The bottle has a secure screw on lid with a flip drinking valve and straw along with a decorative soft touch rubber insert. Large Wraparound Digital Print: 100mm x 231mm. Sizes Dia 70mm x H 271mm.